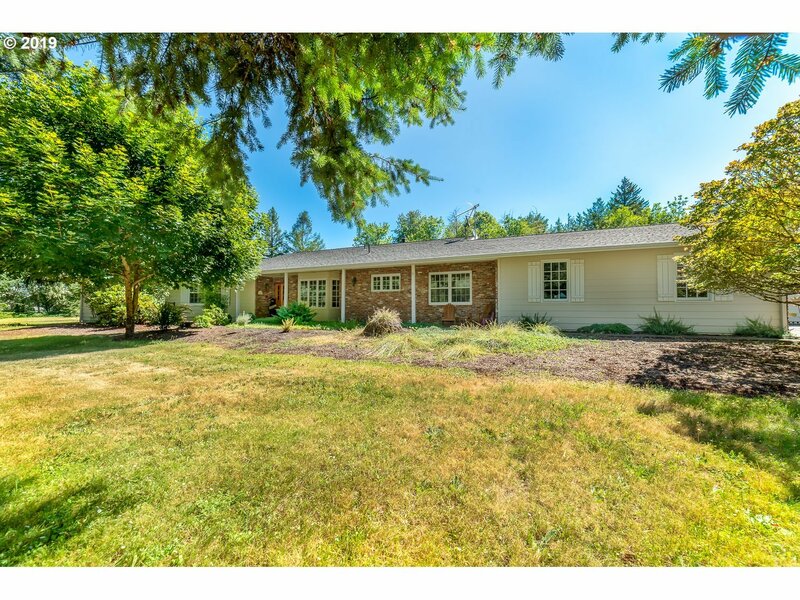 Beautiful 5+ acre single story ranch home just steps from Cottage Grove Lake! Interior boasts hickory wood floors, living room with brick fireplace, family room with wood stove, formal dining, kitchen with breakfast nook, and large laundry/mud room with outdoor access. Fully fenced yard has 1500+ square foot separate garage/shop, covered RV & boat storage, fenced garden, wood storage/ potting shed, fruit trees, and seasonal creek.